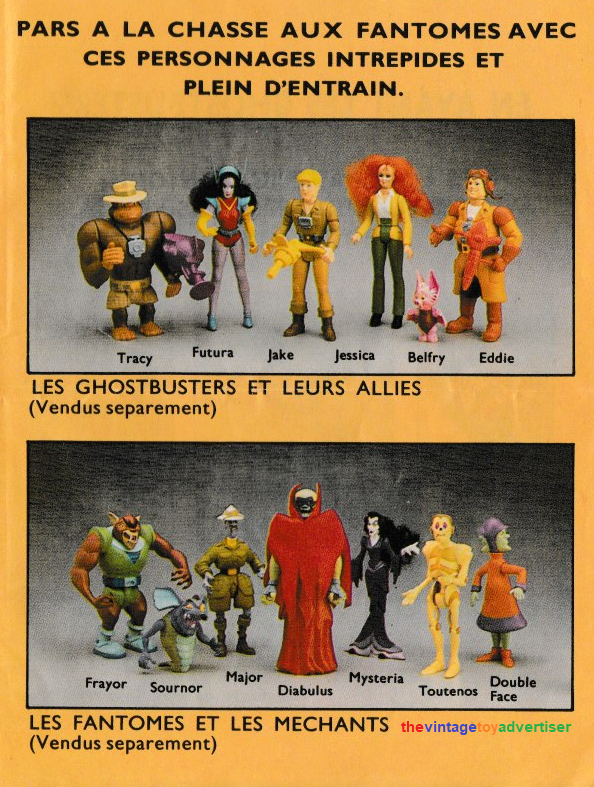 “In a new adventure” Filmation’s Ghostbusters mini comic. 1986. France. Fortan/Moran/Schurr/McBride. 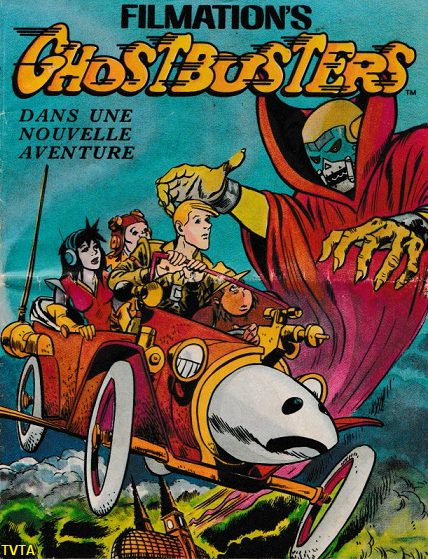 The Ghost Busters was a 1975 live-action series about a trio of inept detectives investigating ghostly occurrences. 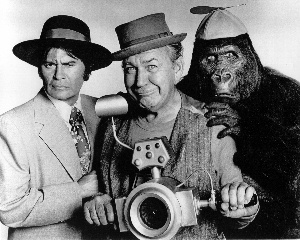 The series, by Filmation, ran for fifteen episodes and featured the characters Kong, Spencer and Tracy the gorilla. In 1986, following the success of the unrelated Columbia Pictures’ 1984 Ghostbusters film (for which Columbia paid Filmation a fee for the license to use the name) Filmation developed The Ghost Busters into an animated show called Ghostbusters – later changing it to Filmation’s Ghostbusters for their video releases. Around the same time as Filmation’s Ghostbusters animated series came the unrelated The Real Ghostbusters animated series from Columbia Pictures (based on their film), who added ‘Real’ to ‘Ghostbusters’ to avoid confusion. Filmation had previously tried to work with Columbia on their animated show but the deal fell through. The Ghost Busters TV series cast photo. Let’s Go, Ghostbusters! 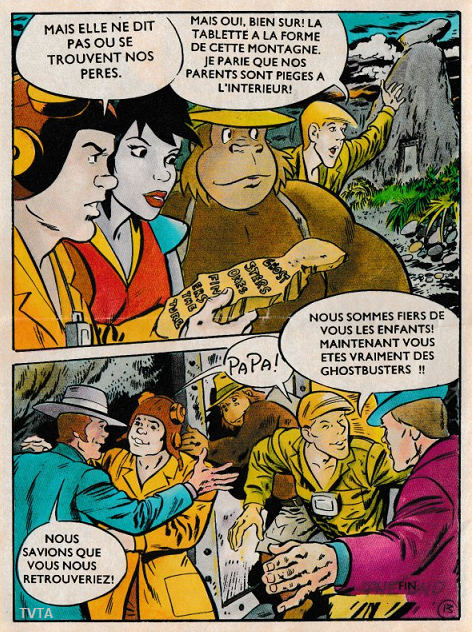 Image from 1986 mini comic showing Tracy the gorilla, Eddie Spencer Jr. and Jake Kong Jr. Image from 1986 mini comic showing in the top panel Eddie Spencer Jr. and Jake Kong Jr. in their transformation room. 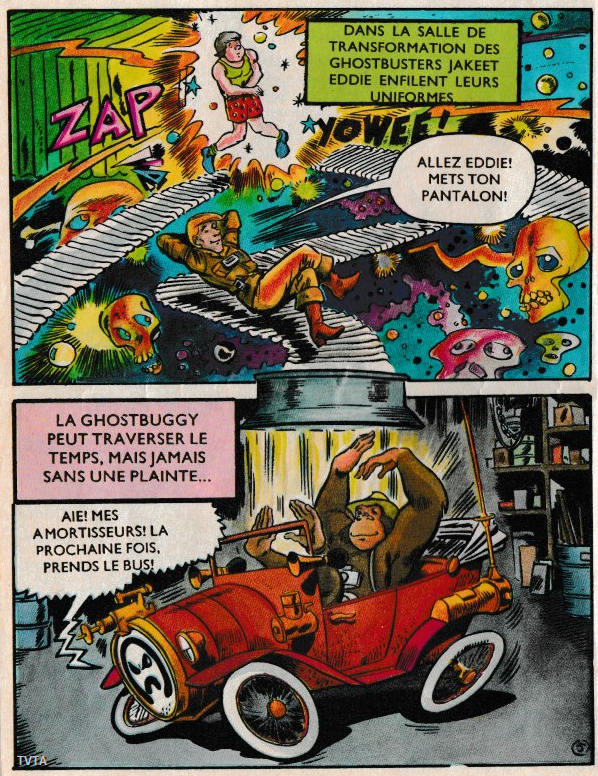 The bottom panel shows Tracy inside the cockpit of the Ghost Buggy car which could talk, fly and travel through time! 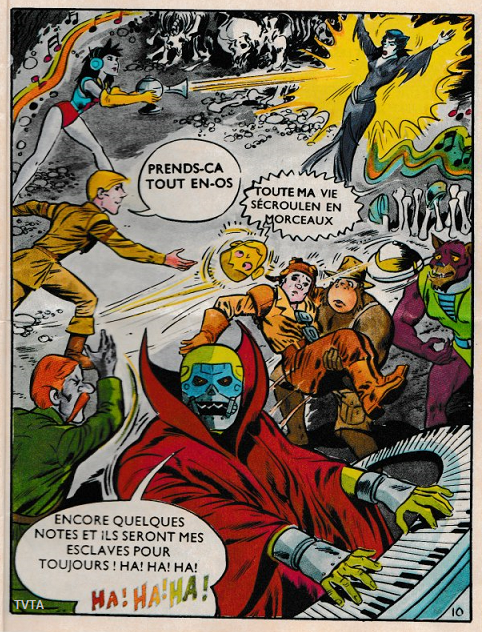 Image from 1986 mini comic showing from top to bottom: Futura battling the villain Mysteria; Jake hurling the head of villain Scared Stiff; Eddie with Tracy standing next to the villain Fangster; the villain Haunter throwing his hat, and on piano the lead villain Prime Evil. 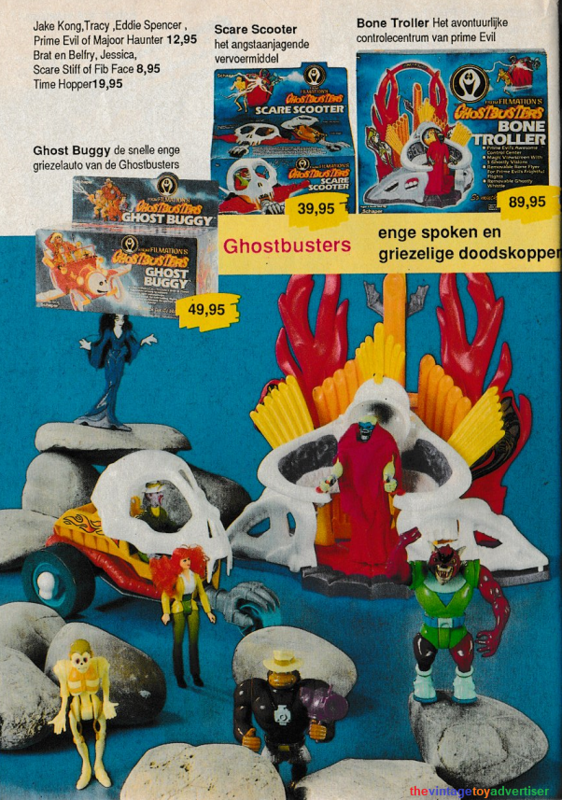 A toy line was released by Schaper and Tyco consisting of ‘goodies’ and ‘baddies’ action figures and their accessories, along with vehicles and two playsets. 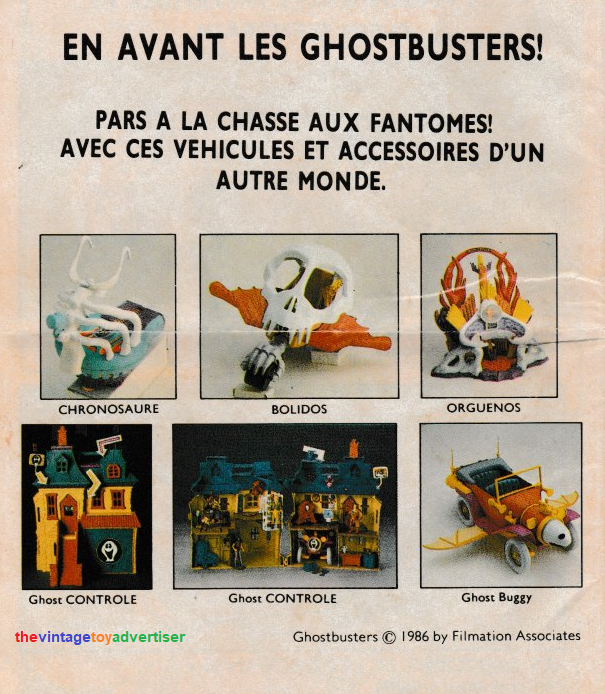 The scans below from the 1986 French language mini comic show thirteen figures, three vehicles and two playsets – including the awesome-looking Ghost Command headquarters. 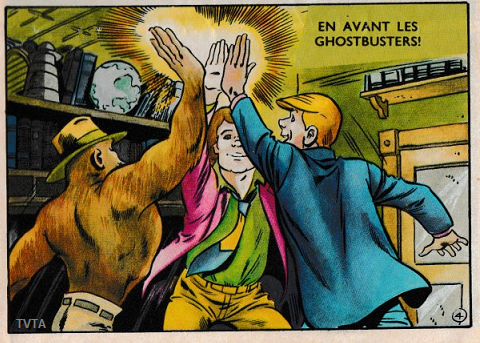 In the final panel from the 1986 mini comic the Ghostbusters are reunited with their dads from The Ghost Busters! So, who you gonna call? Seems we’re a bit spoiled for choice now. Let’s go, Ghostbusters! Filmation’s Ghostbusters. De Speelboom N°3. 1987. Netherlands. 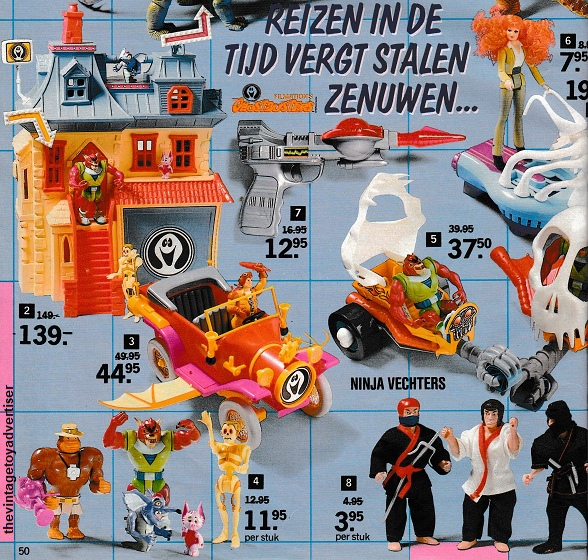 Intertoys Speelboek Autumn 1987. Netherlands. This entry was posted in Ghostbusters/The Ghost Busters and tagged 80s cartoons, cartoons, Eddie Spencer Jr., Filmation Ghostbusters toys, Filmation's Ghostbusters, Futura, Ghostbusters, Ghostbusters Ghost Buggy car, Ghostbusters Ghost Command play set, Ghostbusters toys, ghosts, Jake Kong Jr., Prime Evil, The Ghost Busters live action TV show, toys, Tracy the gorilla on September 8, 2018 by The Vintage Toy Advertiser. TVTA has now published 3,212 print adverts! That’s enough advertising to encircle the planet three times, hot enough to fry an egg, deep enough to contain six olympic swimming pools and faster than a cheetah driving a Formula One car! !